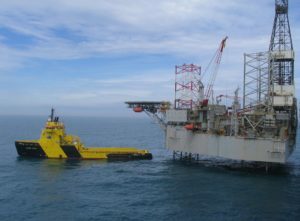 Interocean Marine Services was awarded by 5-year contract for engineering services in the North Sea by Maersk Oil. The contract is for the Provision of Rig Move and Marine Technical Support Services and the offshore company have to provide offshore operations, as well as onshore management of production facilities, mobile drilling rigs and marine projects. The contract will be commenced on beginning of June 2016 and will last until 2021, employed two vessels of the company. The financial terms of the contract were not revealed, but definitely the new employment will help the offshore company to improve its liquidity and find employment of its engineers and offshore workers. “We are delighted to have been awarded this Contract, and look forward to working with Maersk Oil throughout 2016 and beyond. Interocean’s track record and in-house capabilities combined with our flexible approach ensures that we offer cost effective solutions in response to our client’s challenges and needs”, said the CEO of Interocean, Keith Nelson. The offshore company Interocean Marine Services was established in 2007, providing complete Marine Project Solutions Service utilizing in-house capabilities and strategically formed third party alliances. The company has highest standard of quality service that meets and exceeds our clients’ expectations, through the provision of innovative technical solutions and minimization of financial and safety risk. Interocean Marine Services Limited is a member of the Rigmar Group, which provides Asset Integrity, Fabric Maintenance and Marine Services. Rigmar Group’s Head Office is located in Aberdeen, with further offices throughout the UK, Canada, West Africa, Abu Dhabi and Singapore.